A drastic change in climate can take a toll on the interior of your garage. It is common for moisture, caused by rain or humidity, to get trapped within the walls of your garage and cause damage. This should not be taken lightly, and if it is ignored, the excess moisture in your garage can become worse over time. However, there are a few steps you can take in order to eliminate garage damage caused by rain and humidity. 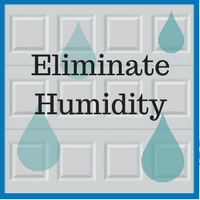 This is a simple way to control the level of condensation that builds up in your garage over time. Using a garage heater during the cooler months of the year will help keep the temperature balanced, which means it will be less humid in your garage. Install an air conditioning unit in your garage to help evaporate any excess moisture. An alternative to an AC unit is a dehumidifier. It is important to remember to empty out any water that the dehumidifier collects—as it will best function that way. Providing enough ventilation in your garage is one of the most beneficial ways to reduce humidity. Also, you should keep in mind that this method is cost-effective as well. The first step to proper ventilation is to keep doors and windows open as much as you can in order to release any trapped moisture. You may also want to place a fan in your garage, if one is not built in, to blow some excess dampness outside. A successful ventilation process helps keep a good balance between the airflow outside and inside your home. This step of the process might not seem like a big deal, but in fact, a car covered in moisture can cause your garage to become more humid. Condensation can form due to melted snow or rain that is left on your car. Consider taking a moment to dry off your vehicle in order to reduce any excess moisture. 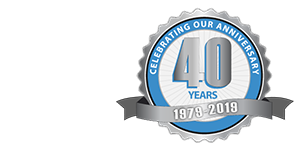 If you have any moisture forming in your garage that may cause issues down the road, please contact our garage experts at Blue Sky Builders today. For more information on how to eliminate the garage damage caused by humidity or inclement weather, visit us online at www.blueskybuilders.com. You can also call us at 630-852-8485.